As you prepare for your move, you probably have “a million things on your mind.” To minimize your stress at this hectic time, we’ve put together an FAQ (frequently asked questions), along with their answers. Some of the questions require more specific information, in which case your Atlas moving representative is the person to ask. Make sure that your moving representative answers these and any other questions you may have. Simply click on the category you are looking for to help answer any questions you have. + Should anything be done to my appliances to prepare them for the move? Moving appliances should be done carefully, cautiously and done by a moving professional if possible. Wrap metal connectors on hoses in a towel and place inside the washer. Follow your washer’s manual on how to properly secure the tub. Clean the lint screen on your dryer. Be aware of the proper power connections needed for you dryer when moving into your new place. Clear out all perishable items and clean the inside of the fridge. See our tips page for more appliance packing information. + What should I do to prepare to move my waterbed? Waterbeds are delicate and easily damaged during the moving process if not handled correctly. Having a moving professional on hand is invaluable and critical to keeping waterbeds in good condition. Know which kind of water mattress you own. The type of water mattress will demand a specific method of draining and packing in order to keep the mattress in top condition while moving. Allow a few days before your move to drain the mattress and let dry. If you’re storing your mattress for a long time be sure to apply mattress conditioner on the inside. Before draining your waterbed be sure to turn off the mattress heater to help protect the mattress from being melting. See our tips page for more waterbed packing information. + How will my upholstered furniture be protected? We use a special procedure called StretchWrap. It is a heavy, clear plastic wrap that protects your furniture from being soiled. + Once I get to my new home, whom can I contact in the local area? Who do I call for unpacking services? Your moving counselor will provide you with the name of the Atlas agent who has been assigned as your “destination agent.” You should have the name of the agency and their phone number. + Is there anything that I can’t have moved? Plants and pets for obvious reasons can’t be loaded on the truck. There are several household items that are considered hazardous materials and cannot be moved with your other belongings. These include aerosols, gas cans, paints, varnish, corrosives, batteries, matches, nail polish and remover, ammunition, explosives, cleaning fluids and detergents. Please consult your moving counselor if you think you have anything else that may not be safe to transport on the truck. + Does Atlas provide motorcycle transportation? + Can I transport my car? It is possible to transport your automobile with the rest of your belongings–provided there’s enough room. Please consult your moving counselor for more information. + Is there anything I should keep with me and NOT load on the truck? Be sure to carry enough clothing, medications, toiletries, etc. to last from the load date until the last day of the delivery spread. We do suggest that you keep small valuables such as jewelry and family photographs and videos with you during the move. + Who can I call if I have questions while my belongings are being shipped? Throughout your move, your primary contact is the moving counselor who helped plan your move. Your moving counselor should have given you the name and telephone number of an Atlas Van Lines agent near your new home to contact upon your arrival there. But, at any time during your interstate move you can contact Atlas’s Customer Service and Claims Center at 1-800-638-9797. You may also check on the status of your shipment online through Atlas’s Shipment Tracking System. 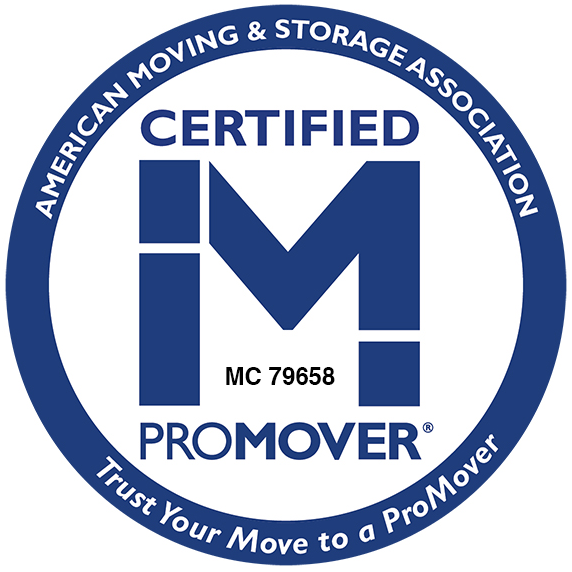 Most moves require payment upon delivery by either cash, certified check or money order. Other payment options such as credit card may be pre-arranged. Discuss these options with your moving counselor to select the one that works best for you. In the event that your employer is paying for the move, the employer may pre-arrange to be billed via invoice. Whatever payment option best meets your needs, be sure that all the arrangements are made before packing your belongings and loading them into the moving van. + What if the truck can’t park up close to the house? If we are not able to park the truck close to an entrance to your new home, you may be charged for a shuttle. If a shuttle is not possible, extra labor charges may apply. Often tree branches grow low over roadways not allowing for the height of a truck. Narrow streets and driveways can restrict accessibility to your home, making it necessary for the driver and helpers to carry your belongings a longer-than-normal distance. If the distance from your home to the truck is too great for the driver and helpers to carry your belongings, we may need to load your belongings on a smaller “shuttle” truck before placing them on the actual moving van. Use of a shuttle truck is also an additional charge. + Will there be extra charges if I am moving into or out of a multilevel building? Stair carry and long carry charges no longer apply. However, if there is an excessive number of stairs or distances to carry, an additional labor charge may apply. Your moving counselor will let you know if the situation at your current home will require these charges. Since your moving counselor does not visit your new home, you will have to let him/her know about the layout there. + What is the difference between a binding and non-binding estimate? A non-binding estimate requires you to pay based on the actual weight of your shipment and the actual services performed. There is no limit. A binding estimate is a price guaranteed not to be exceeded unless additional services are performed that are not specifically listed on your paperwork. You must complete additional paperwork for any items to be added to your shipment or to have additional service provided. + How can I obtain an estimate of moving costs? To receive an estimate, fill out the on-line estimate request form and your local Atlas agent will contact you to set up an appointment. For a ballpark estimate of moving costs, check out our self-estimate pages. + What are my charges based on? For an interstate move, your charges are based on the weight of your shipment, together with the mileage between origin and destination. At the time of your estimate, your moving counselor will be happy to explain the itemized charges on your estimate, which would include any packing, crating, un-crating and transit protection. + What is Full Value Protection / Additional Carrier’s Liability? Full Value Protection provides for the full cost of repair, or the full cost of replacement of any household item that may be damaged or lost during your move, up to the amount that you declare to be the total value of your belongings. Minimum valuation under this plan is $6.00 times the weight of your shipment. Replacement, if necessary, is at today’s prices, not at depreciated cost. This full replacement protection includes many matched sets and pairs, such as candlesticks, lamps and chairs. Additional Carrier’s Liability provides a similar level of coverage for local shipments. For more about coverage options for your move, read Determining the Right Coverage for Your Move. + What if something is damaged while it is being shipped? + Are all charges included in the price quote? Sitterly Movers will provide you with an estimate for all services that you have requested. Those services will include: loading at residence, wrapping and protecting furniture as it is placed into the lift van or steel container, transportation to the port of departure, transportation via sea vessel to the port of entry, clearing through customs and delivery to new residence. If delivery to the port only is selected, you are responsible for clearing customs and arranging for someone qualified and authorized to remove the container from the port. In either case, you are responsible for customs fees, and duties or taxes related to your international shipment and any other charges not normally included in international shipping. Examples could be: security screening, inspection of container contents, decontamination of containers, etc. Delivery assumes easy access for the delivery truck and a first floor residence. When comparing international quotes, it is important to know what services are included in the quote. Your lowest estimate may not end up being you lowest actual price. + Are there certain articles I may not be able to ship internationally? + How do I determine the replacement cost of my furniture and personal effects? The average replacement cost for household goods is $6.00 per pound. If your international shipment weighed 5,000 lbs., for example, the average replacement value would be approximately $30,000. Since the actual value of every household varies, however, it is always a good idea to obtain a professional written appraisal of your belongings, including photos or a video, on which to base the amount of protection necessary on your shipment. + Can Atlas provide protection for my possessions? Yes. Atlas offers Full Value Protection on all of its international shipments. The purchase of this Full Value Protection may be required to ship your household goods overseas. + Who will provide delivery services at destination? Atlas Van Lines has an established worldwide network of offices and agents. They can provide delivery at destination, storage, unpacking, debris removal and other customary moving services our customers may require. + How will my household goods and personal effects be transported? There are several types of overseas containers commonly used for transporting shipments internationally. Air Freight Containers — are used for very small shipments-mainly personal effects. Lift Vans — are wooden containers which have about 200 cubic feet of space. They are normally used for shipments weighing less than 4,000 lbs., and for shipments moving to those countries lacking capacity to handle larger containers. Ship’s Containers — are steel containers and come in a 20-foot (1100 cu. ft.) size, and a 40-foot (2200 cu. ft.) size. They are frequently used when moving a complete household overseas, and because of their construction are the safest shipment methods available for international shipments.